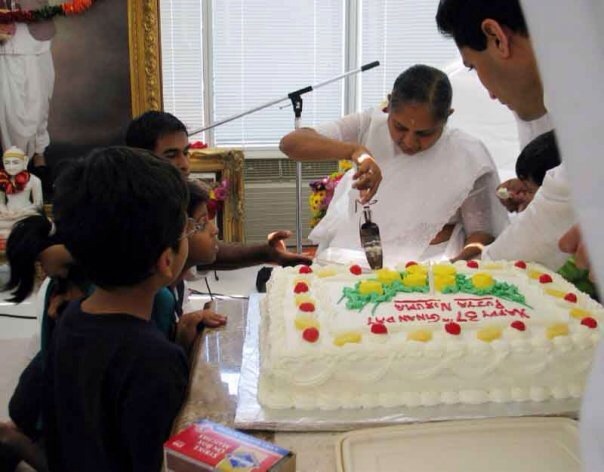 To celebrate Pujya Niruma’s 70th Birthday, a special session for children was kept in Bhavnagar (Gujarat), India on 2nd December. Because it was Niruma’s Birthday, all the presentations were about Niruma. Little children aged 8 to 10 years, as well as teenagers aged 13 to 21 years, both boys and girls presented very nice dances on spiritual songs dedicated to Niruma. 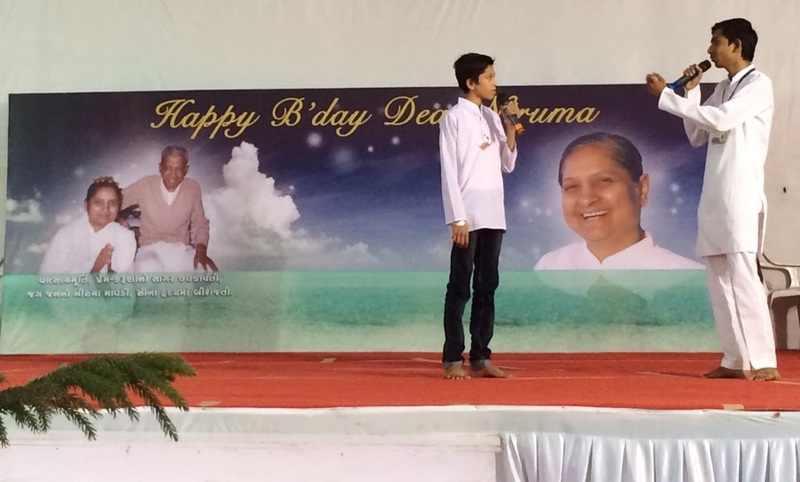 They also presented poems on Niruma, and shared memories of Niruma. All the children then had the incredible opportunity to ask Pujyashree Deepakbhai questions in a session especially for them. Altogether the children asked nearly 40 to 50 questions. Questioner : I distributed pamphlets about this special children’s session to my friends, but then some of them made fun of it and threw it into the dustbin. Pujya Deepakbhai : It’s ok! We have to understand that they do not know the value of the Soul (Atma). Do you know if we give a diamond to a shepherd, what will he do? Because he will not know the value of the diamond, he will consider it a stone and tie it around his neck. However if you give the same diamond to a jeweler, he will make optimum use of it. Questioner : How far is God from us? Pujya Deepakbhai : He’s nearest to us! God is the most nearest to you! And your ego is the furthest from you.